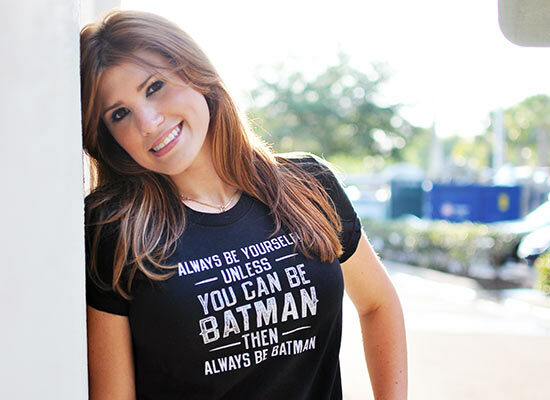 Always Be Yourself Unless You can Be Batman – On sale this week, $14.95! Get this Shirt From Snorg Tees for Only $14.95 this week only! I try always to be myself but there are rare occasions when I can be Batman. Now, sometimes I can be Robin but I say forget that and just keep on being myself. Batman is so cool. He’s dark, mysterious, has cool toys and has the coolest vehicles of anyone I know. Batman is not your typical super hero because he can almost cross the line into criminal behavior when he has to. No other super hero can boast that. This one’s on sale for $14.95.